Thank you Akira. Thank you to the organizers and hosts of this very important conference. 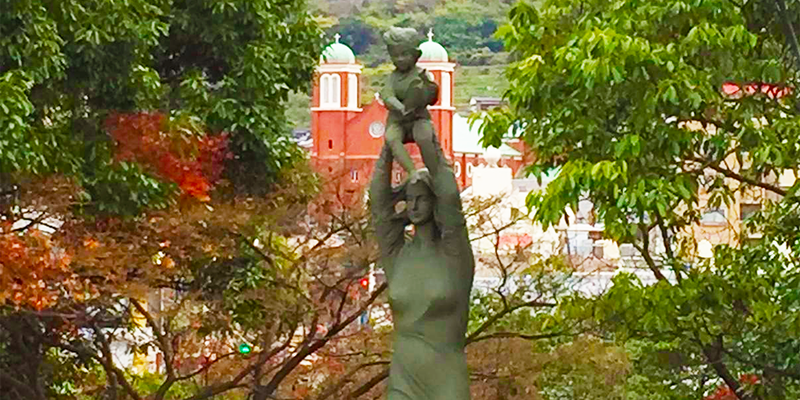 It is an honor to be here once again in Nagasaki for this important gathering. As several other panelists and speakers have noted, civil society has an important role and responsibility to play in the cause of disarmament. For decades, citizen diplomats, scientists, physicians, students, and concerned people the world over have successfully pushed their leaders to achieve nuclear disarmament. But there are tough challenges ahead. Tensions between the world’s nuclear-armed states are on the rise once again, and progress on nuclear disarmament is stalled. Nuclear-armed states are engaged in technological arms race. North Korea may soon have an operational arsenal of nuclear-armed ballistic missiles that can hit all of East Asia. The nuclear Nonproliferation Treaty is under increasing stress. The election of Donald Trump to the White House will not make things any easier. Unlike President Barack Obama, who came into the White House with a detailed nuclear threat reduction game plan, Trump has no discernable strategy for managing today’s most daunting nuclear dangers. As a result, Mr. Trump cabinet appointees will likely have wide latitude in determining policy, which could mean that the administration seek significant changes in established U.S. nonproliferation and disarmament policy. Hard-won nonproliferation, nuclear risk reduction, and nonproliferation successes, and even the taboo against the use of nuclear weapons, cannot be taken for granted. What can NGOs do in these difficult times? The successful and effective Joint Comprehensive Plan of Action (JCPoA) is at risk. I would note that the Israeli PM has in an interview aired Sunday said that he would advise Mr. Trump on ways to unravel the JCPoA. Responsible diplomats and experts understand that such actions would set back the nonproliferation and disarmament cause. Civil society groups in Israel, the United States and elsewhere must counter such developments. strengthen ties with governmental and nongovernmental partners around the globe. In the United States, a number of NGOs are discussing the formation of a new, cross-sector “Campaign to Reduce and Eliminate Nuclear Dangers;"
put meaningful pressure on government officials to advance practical, concrete nuclear risk reduction and disarmament initiatives. There are many different NGOs and strategies. Each is valuable and has something to offer. Each has their approach and policy prescription. There is no all-in-one solution. One important new step that can reduce the salience of nuclear weapons is the forthcoming negotiation of a new instrument to prohibit nuclear weapons. Contrary to some skeptics, this process is not a distraction, nor will it undermine the NPT, as some fear. The strong support for negotiations on a ban treaty needs to be understood as a logical international response to the underwhelming pace of progress by the world’s nine nuclear-armed states on nuclear disarmament in recent years. Let be clear: these underlying trends are what threaten the NPT, not the ban treaty negotiations. In order to attain a world free of nuclear weapons, it will be necessary, at some point, to establish a legally-binding norm to prohibit such weapons. As such, the pursuit of a treaty banning the development, production, possession and use of nuclear weapons is a key step along the way. This new process has the potential to further delegitimize nuclear weapons and strengthen the legal and political norm against their use—a worthy goal. The coming ban treaty negotiations are not an all-in-one solution, but do represent an important new contribution. Specify which activities related to nuclear weapons possession, planning, development, production, and testing are prohibited. Each of these prohibitions must be effectively verifiable, even if this negotiation does not elaborate the monitoring and verification regime. Compliment and perhaps enhance existing treaties that prohibit or limit certain nuclear weapons-related activities, including the CTBT, the current nuclear weapons free zone treaties, and the NPT, among others. Provide a pathway or pathways for states that now possess nuclear weapons or are part of alliances with nuclear-armed states to join the nuclear weapons prohibition treaty. The negotiators should seek a formula that is meaningful but also draws the widest possible support from states participating in the negotiation. Consensus should be the goal but not a requirement for agreement on the final outcome. States such as Japan, Germany, the Netherlands, and China that expressed some reservations about the initiative should nonetheless participate in the negotiations. The coming ban treaty negotiations are not a substitute for necessary, progressive steps on nuclear disarmament, Nor will the process necessarily lead the nuclear-armed states to act with urgency to fulfill their nuclear disarmament obligations. Repeating the mantra that “we must patiently pursue a step-by-step approach on disarmament” does not constitute an effective or responsible strategy. Diplomats, NGOs and political leaders can and must do better. Certainly, the nuclear-armed states—particularly the United States, Russia, China, India and Pakistan—can and should do more to overcome old obstacles and animosities to advance disarmament and nuclear risk reduction measures. But we cannot count on these governments to provide leadership. Middle powers, including Japan, Germany, Sweden, Mexico, South Africa, Indonesia, Brazil, Poland, Malaysia, and others, have an important role to play to provide leadership and fresh ideas on key nuclear disarmament and nonproliferation initiatives. One way to bridge the growing divide on disarmament and to create new momentum might be to convene a series of conferences or a series of “summits” that bring together high-level representatives of nuclear and nonnuclear weapon states for disarmament discussions and outside of the moribund Conference on Disarmament. Achieving and maintaining a world without nuclear weapons requires bold and sustained action.